Christian music's most dynamic live band has finally been captured on video! 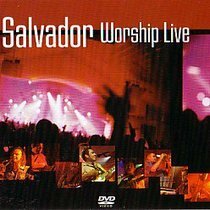 Salvador's sold-out June 6th, 2003 concert at Calvary of Albuquerque in New Mexico was one of the most compelling live worship events this year. On this incredible night the audience was treated to a unique combination of Salvador hits, worship anthems and Latin favorites. . .adding up to a Salvador live experience unlike any other.